Parts of yesterday felt a bit like an out of body experience. I woke up at 7 am and showered, but after that, things got a little…weird. I didn’t drink my coffee. I didn’t eat my oatmeal. I didn’t take Bodhi for a walk. 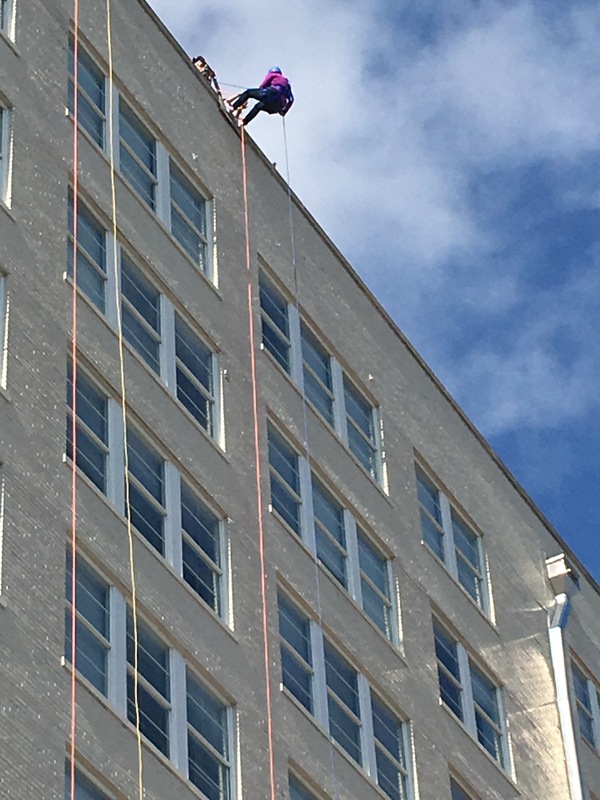 I took a short drive to downtown Springfield and rappelled off an 11 story building. I’ve never even rappelled off a 10 foot rock, so this was all new to me. 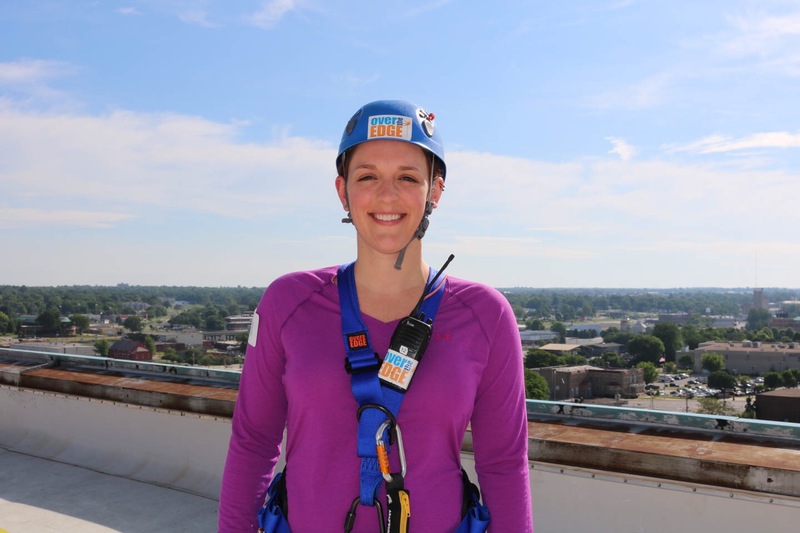 The rappel was part of a big “Over the Edge” fundraiser for the Child Advocacy Center in Springfield. 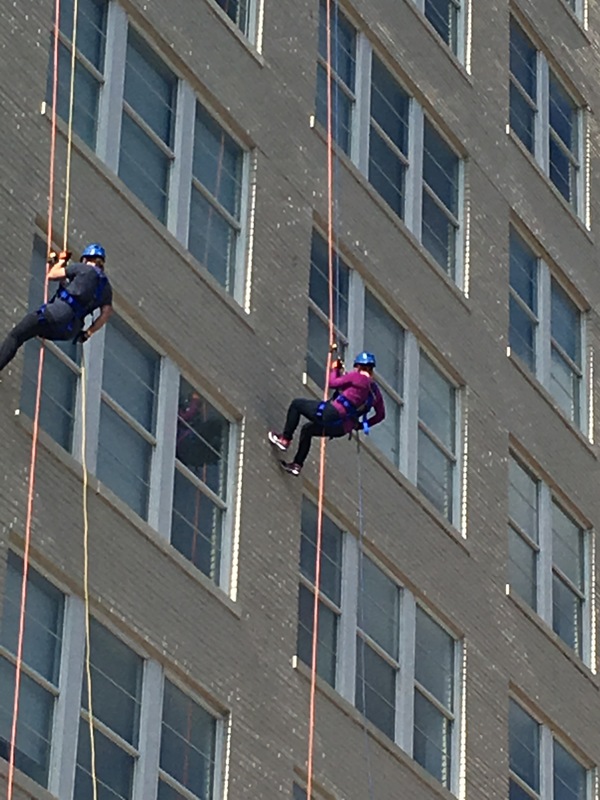 If you raised a minimum of $1000, you got to rappel. I was interested in doing this last year, but thought there was no way I could raise the money. The former CEO of Jack Henry & Associates (where I work) did it last year – in a Spider-Man costume! – and had a presentation this year to encourage employees to sign up. I decided to give it a shot. Thanks to my awesome friends, family, and coworkers, I had the $1000 in about 2 weeks. I was a bit nervous the week leading up to it, but once I actually climbed over the edge of the Sky Eleven building and took a look around, you couldn’t get the smile off my face. Everyone involved with the CAC and OTE were incredibly kind and patient, and made a slightly scary experience a truly fun time. It was great bonding with my fellow rappellers, and I can’t wait to do it again next year. 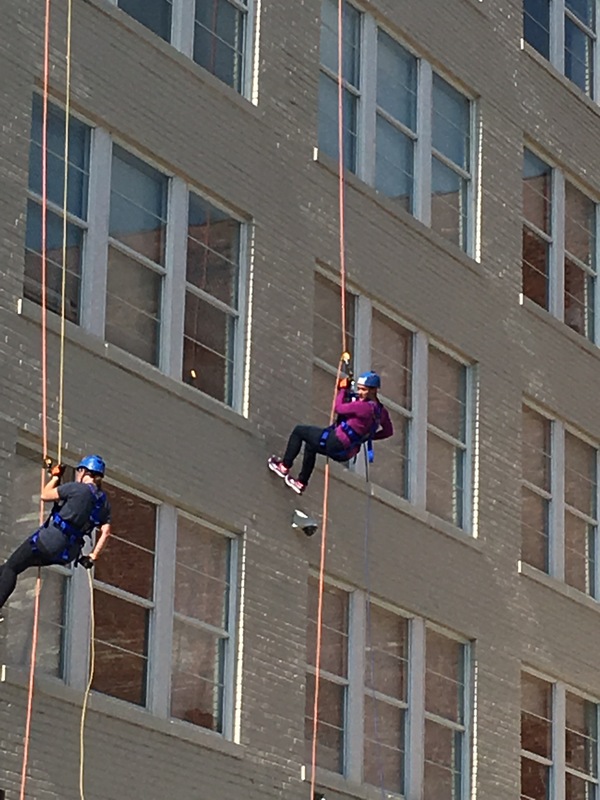 While my legs felt like jelly after the rappel, I didn’t expect to wake up sore today. But I guess I’m more out of shape than I thought, because my abs (or the place where fit people have ‘abs’) is a bit sore, and my quads and shoulders are too. No time to worry about that – gotta hit the road for a few nights in Memphis!